Vintage at Laguna is an affordable home community designed for comfort, convenience, and independence for seniors ages 55+. The community offers two distinct living environments, a three-story apartment building with elevator access to each floor and centrally located laundry facilities or two-story garden apartments that include individual washer and dryer hook-ups. There are one- and two-bedroom apartments. 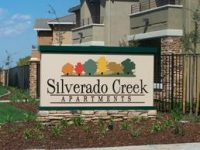 Vintage at Laguna is one of the first Elk Grove communities to offer smoke-free apartments for our non-smoking residents. Vintage at Laguna is within walking distance of medical facilities, shops and restaurants and has convenient access to Hwy 99.